I was struggling trying to determine what exactly I wanted to watch tonight. Everything that I found was either too long or not what I wanted. There were actually a bunch of creepy/scary films available, but I just did not feel like I was wanting to handle a movie with shock and terror in it. So I played a film with those words in the title! 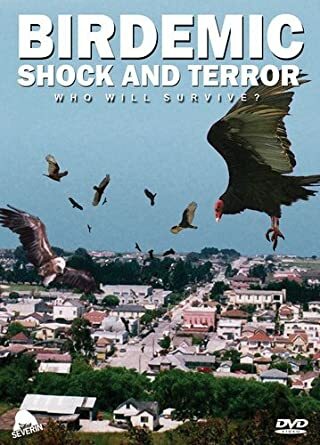 Birdemic: Shock and Terror is one of the worst movies ever made. Thankfully, I have only seen it as a part of the special presentations by the RiffTrax Live guys, Michael J. Nelson, Kevin Murphy and Bill Corbett. 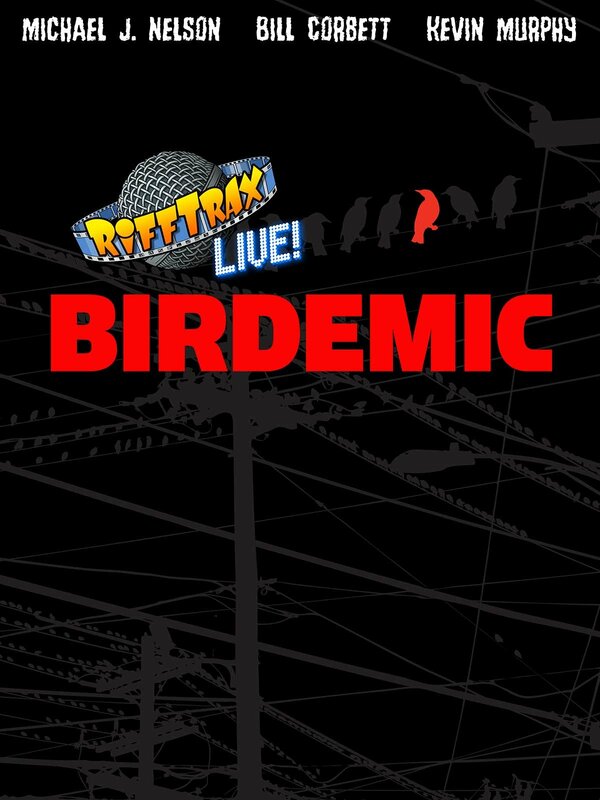 Even today, Birdemic: Shock and Terror is my favorite RiffTrax show I have seen. Birdemic the movie is a film that is meant to pay homage to Alfred Hitchcock’s The Birds, but it fails in just about every imaginable manner. It takes around 45 minutes before we see any birds on the screen at all and when they finally do show up, they are possibly the worst special effects to find its way onto a movie screen. Calling the acting wooden would be too good. Alan Bagh (who plays Rod) is unbelievably robotic in his portrayal of the software salesman turned solar panel magnate who dates our lovely young model Nathalie (Whitney Moore) and these two stumble through the somewhat unaffected world where killer eagles are attacking people at gas stations, alongside the road and at motels. This is truly a film that is impossible to describe. The special effects, the sound quality (or lack thereof), the acting, the story, the consistent shots of people driving their cars for no determinable reason. Thankfully, the RiffTrack guys make this a remarkably entertaining, making me laugh out loud at their hi-jinks and witty banter. The best part though is when none of the three of them are able to make a joke because they are too busy laughing themselves at the horrible performance of Rod. The reason behind the Birdemic, we guess, has to do with global warming as the film takes many opportunity to spread the word about how humans are affecting nature (including one of the most awkward allusions to Al Gore’s An Inconvenient Truth movie.